Jewish Music for the whole family! 4. L'Chaim - To life! Original Jewish Music for the whole family and for everyone! The upbeat songs like Boker Tov (good morning) and Oogiot (cookies) will have you singing and dancing! The variety of musical styles and easy to learn songs makes "L'Chaim - To life!" a must for every family's musical library. 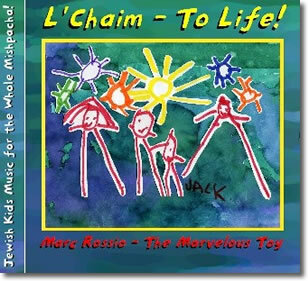 Click here to hear songs from L'Chaim - To Life! 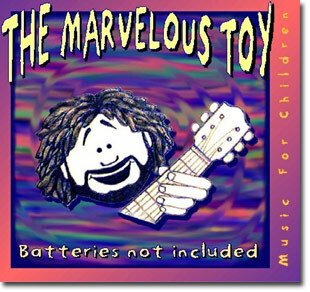 Sing and dance along with The Marvelous Toy's new CD! Original Childrens Music mixed with Classic Childrens Songs. This CD will have you snapping your fingers and tapping your feet! Play "Toy Says" along with the song, march to "Hey, hey, hee, hee", snuggle up with "Twinkles". It's an all around good time! I played with... The Marvelous Toy!" T-Shirts! 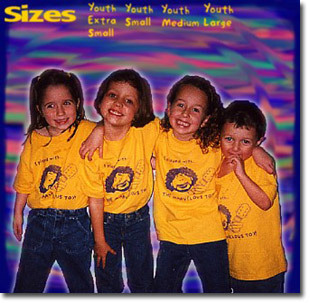 Comfortable cotton T-Shirts for children and adults. Show all your friends how much fun you had singing & dancing with The Toy by wearing this attractive t-shirt! Colors: Yellow, Keylime Green, Ash Grey, and Tangerine orange. Youth sizes XS,S,M Adult sizes available L & XL.